Is it just me that is concerned about making payments online anymore? The internet has opened new doors for all sorts of business and I sometimes feel like that there are people out there looking at my details that I shouldn’t really be letting! Companies are able to reach more and more clients thanks to search engines and online shops and they can promote their products and services on third party websites and social networks. I’ve just got a feeling that the internet has also made it possible for fraudsters to find more victims. Many clients don’t feel safe when paying online with their credit card since they have heard of new cases of fraud so many times already. In this post I’m just looking at the best ways that we can make payments online to keep our money secure. That is why tools been developed which help you effect a safe payment when buying items on the world wide web. 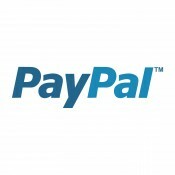 PayPal is a service that operates online payments and money transfers, it’s an interface for internet users and online vendors. Clients and businesses from every corner of the world can access this platform and many retailers nowadays accept payments via PayPal. Costumers can easily get their money back in case they didn’t receive their order or in case it was damaged during shipping. Especially the purchase of digital goods such as music and film downloads or of smaller items on ebay represent low value transactions. Sellers of these products often can’t afford to pay extra fees for the money transfer. If you sell small items online you should inform yourself about PayPal’s Micropayments which allow you to make money even from the smallest transaction. For more information, click here. Another advantage of payments that are effected via PayPal is that you don’t have to type in your credit card details every time you purchase something online. This comes in handy especially when buying a product using your mobile phone while you are on the train or elsewhere in public. Nobody will be able to spy on your data, since it is safely stored online. This way, you can feel free to effect a payment wherever you are.